Dr. Esther Katz will discuss Margaret Sanger’s opening of the first birth control clinic in the U.S. 100 years ago in Brownsville, New York. Thursday, Jan. 26, at 6 p.m. at Marx Library Auditorium, University of South Alabama. Call 251-415-1109. A range of free services will be offered to Mobile’s homeless onsite at The Grounds this Friday, Jan. 27, from 8 a.m. until noon. WAVE Transit buses will provide free rides to and from the connecting shuttle to The Grounds. To volunteer for this event, call 251-445-8016. The Coca-Cola Meet the Players event is Friday, Jan. 27, from 3:30-6 p.m. at the Mobile Convention Center and free to the public. Please visit www.seniorbowl.com for more information. The 2017 Reese’s Senior Bowl is scheduled to kick off Saturday, Jan. 28, in Mobile’s Ladd-Peebles Stadium at 1:30 p.m. To purchase tickets, call 888-736-2695 or 251-432-4109, or online at www.seniorbowl.com. This colorful and expansive parade of floats, marching bands, vintage cars and more will travel west along Bienville Boulevard, from Dauphin Island Sea Lab to the condos, on Saturday, Jan. 28, beginning at 1 p.m. Experience a day in the life of a Civil War soldier on Saturday, Jan. 28, at historic Fort Gaines on Dauphin Island. There will be cannon and rifle firings, drill and blacksmith demonstrations, open-hearth cooking and more throughout the day. Call 251-861-6992. To celebrate its grand opening at Legacy Village, Pottery Barn will be hosting a series of events at its new store Thursday, Jan. 26, at 6 p.m.; Friday, Jan. 27, at 9 a.m.; Saturday, Jan. 28, at 10 a.m.; and Sunday, Jan. 29, at 1 p.m. The James P. Nix Center will host its 5th annual Volunteer Fair on Monday, Jan. 30, from 1-3 p.m. in the Nix Center Ballroom. The fair will feature organizations in the Baldwin County area that are seeking volunteers. Call 251-928-2835. Bellingrath’s Winter Wednesday sessions are held each week through Feb. 22 in the Magnolia Room. “Growing Vegetables” with Bill Finch takes place Wednesday, Feb. 1, at 10:30 a.m. Call 251-973-2217, ext. 111, to register or via email, bellingrath@bellingrath.org. Run to win money for your favorite charity on Saturday, Jan. 28, at 8 a.m. University of South Alabama intramural fields. Visit thecharitychase.com. The Mobile Arts Council awards achievement in 11 categories. Hors d’oeuvres, drinks, entertainment. 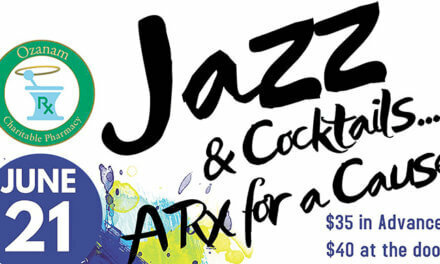 Alabama Contemporary Art Center, Friday, Jan. 27, 7-10 p.m. $30 www.brownpapertickets.com. The Mobile Symphony Orchestra presents “Winter Romance.” Saturday, Jan. 28 at 7:30 p.m. and Sunday, Jan. 29 at 2:30 p.m. Saenger Theater. mobilesymphony.org. In Christ Church’s third annual Cathedral Pops concert, hear Cathedral musicians perform sacred favorites, both old and new. Sunday, Jan. 29, 4 p.m. at Christ Church Cathedral, 115 S. Conception St.
You are invited to share some spirits with the spirits of the Swift-Coles Historic Home for “A Ghostly Soiree” on Friday, Jan. 27, and Friday, Feb. 3, at 6 p.m. both days. Tickets include a buffet and beverages. Visit sbct.biz. “Cat on a Hot Tin Roof” is about the dynamics of a dysfunctional, wealthy Southern family as they gather to celebrate their aging patriarch’s birthday. The show runs Jan. 27 through Feb. 12. Friday and Saturday shows are at 8 p.m.; Sunday matinees are at 2 p.m. Order tickets online at mobiletheatreguild.org. This hilarious new play opens Friday, Jan. 27, and runs until Feb. 12. Friday and Saturday at 8 p.m.; Sunday at 2:30 p.m. For tickets, visit tthearte98.org. Chickasaw Civic Theatre will hold auditions for “The Music Man” Sunday and Monday, Jan. 29 and Jan. 30, at 6:30 p.m. at 801 Iroquois St. in Chickasaw. More information is available at cctshows.com and the Chickasaw Civic Theatre Facebook page. Performances through Sunday, Jan. 29, at the Joe Jefferson Playhouse, 11 S. Carlen St. Showtime is 8 p.m. Friday and Saturday, 2 p.m. Sunday. Call 251-471-1534 or visit www.joejeffersonplayers.com. Join Alabama Contemporary Art Center for “Cirque du Mardi Gras,” a one-of-a-kind cirque experience for all ages. Performances run Feb. 1-14. For tickets, visit venardoscircus.com. Join Mobile Museum of Art and Scott Wetter as he shares the nuanced secrets of early American furniture making on Thursday, Jan. 26, at 6 p.m. at MMoA. Call 251-208-5200. Tuesday afternoons at 2 p.m. the Fairhope Museum of History hosts a tea with a lecture on Fairhope history. The Jan. 31 speaker will be Tod Jonson. Call 251-929-1471. 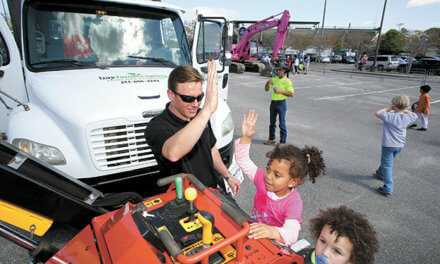 The Mobile Bridge Center offers free bridge lessons each Tuesday beginning at 6 p.m. at 1510 University Blvd. Arrive a few minutes early to register. Call the Bridge Center at 251-666-2147, 10 a.m. to 2 p.m.